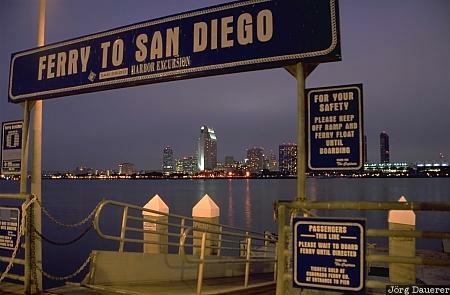 The illuminated skyline of San Diego at the blue hour seen from a ferry terminal on Coronado peninsula. San Diego is at the pacific coast in the south of California, United States. This photo was taken at the evening of a foggy day in September of 1999.